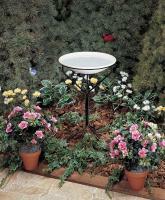 This beautiful hand-painted bird bath Pedestal features the delicate lavender plant. 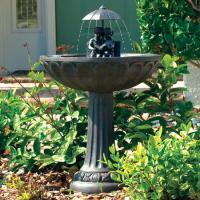 Our clay bird baths are pottery with a passion. 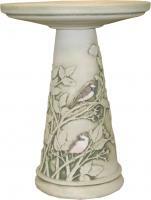 Using clay from Ohio mines and processing it into a stoneware body, firing it in kilns and finishing it with our beautiful hand painting, truly makes this the only U.S.A produced clay bird bath.